Apple ID Profile lesson added to the iOS 10 Whats New and Core Concepts Tutorials. 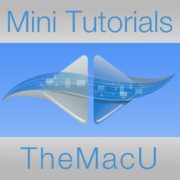 Start your All Access free trial to view the entirety of these and all of TheMacU tutorials. How to use the World Clock and Alarm in the iOS Clock App! In this free lesson from our Mini Tutorials Collection see how to use the World Clock and Alarm features in the Clock App that’s built into your iPhone and iPad. Learn much more with the full Mini Tutorials Collection which has lesson on Podcasts, Apple Music, the App Store and much more! https://s3.amazonaws.com/tmucoursevideos/wp-content/uploads/2017/05/12171934/Mini-Tutorials-PNG-squashed.png 1024 1024 Drew https://themacu.com/wp-content/uploads/2017/06/TMU.com-Header-logo-jpg-300x138.jpg Drew2017-03-05 21:27:282018-06-29 10:53:49How to use the World Clock and Alarm in the iOS Clock App!